Welcome to the Nineteenth Edition of the Owen Guns Bulletin. 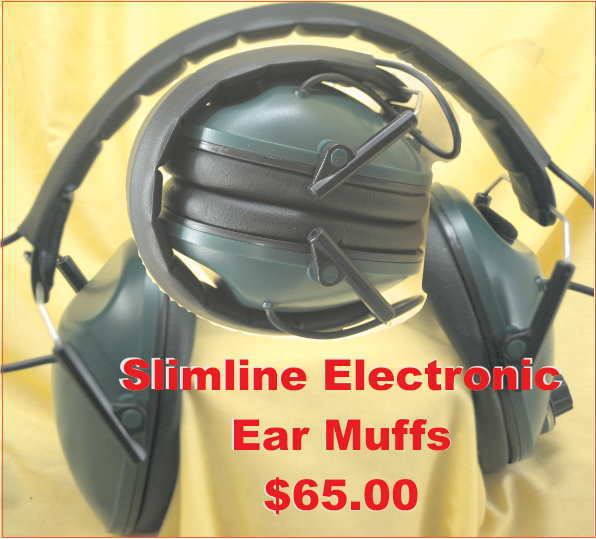 At the range or anywhere ear protection is constantly required, but you also need to hear instructions from others or you wish to be more aware of the ambient sound around you, these electronic ear muffs are what you need. A steal at $60. plus post. TT. 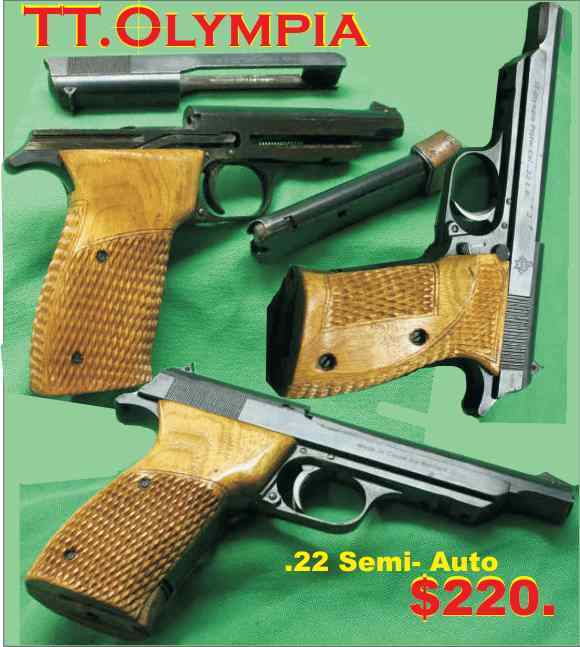 OLYMPIA .22 Semi Auto Pistols. As used to win all the GOLD in 1936 Olympic Games, originally made by Walther in Germany and subsequently copied by Russia and China. These are the Chinese version, used in Pistol Clubs the world over. 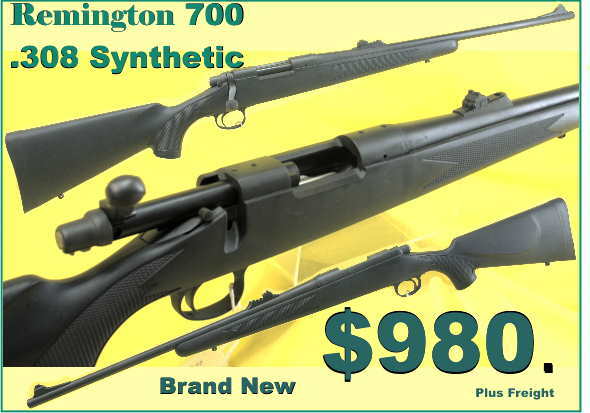 Stevens Mod 200 Bolt Action Centrefire Rifle (Savage 110) $650 plus freight. As already purchased by members of all Shooting Organisations. 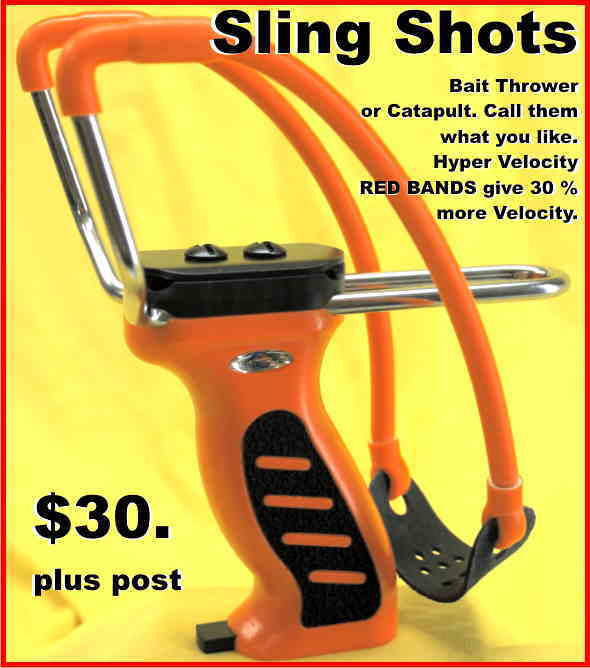 Great gift for Shooters Birthdays. Phone Jason Harelle 07 54824099 work hours. Any inquiries on any products or prices phone 07 54 825070 or 07 54 824099 or email owenguns@spiderweb.com.au or Fax 07 54 824718. Diagram 6 Chamber design for standard rimless cartridge. Extractor with a large grip in the recess of a .308 win rimless cartridge, below shows the same bolt face of a 98 Mauser. the bolt face is the back of the chamber and from where the headspace is measured from. 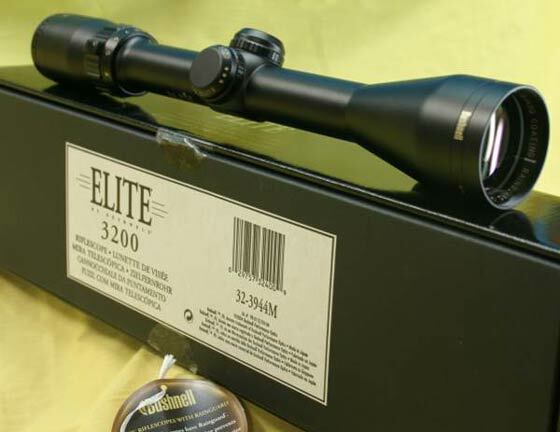 Cartridge manufacturers have always had re-occurring problems when loading ammunition for the most popular type of centre-fire ammunition the rimless cartridge case. In the diagram above the drawing illustrates the cartridge is positioned in the chamber, not by a flange meeting a shoulder as is the case with a rimmed cartridge, but by a pair of mating tapers. There is no certainty as to what point along these tapers the exact bearing will take place and were it not for the fact that considerable latitude is allowed through the ramming action of the locking lugs—which permits a somewhat overlength cartridge to be forced into the “cone”—it would be almost impossible to maintain correct headspace and firing position. This photo show how the forward motion of the bolt as well as feeding the cartridge into the chamber, it also feeds the extractor into the recess in the cartridge case. As it is, the rimless case is really only adapted for use in the “back and forth” actions; the conventional turning bolt actions and the automatics and repeaters which have a reciprocating motion to their breech block. A rimless cartridge should never be specified for use in a double or three barrel gun as in such actions it is impossible to give that final shove to the cartridge so as to position it firmly into proper firing relation, and if the cartridge or its shoulder taper be the least bit short it will slip forward from firing pin impact and a misfire result. Nor can the rimless case be extracted with certainty from such actions, nor from the falling block actions where a wedge action extractor is employed; it takes a real “hook” extractor, with a large surface area over the circumference of the recess to pull out a rimless, case with sureness and regularity. The author knows that there are various trick spring-gadgets used in many expensive rifles,to aid extraction but none so far have been proved as fully reliable as the Mauser and other similar bolt actions. The diagram above shows the optimum standard of commercial chambering. However, also note X, which marks the danger spot at the head of any rimless case which is the least area supported by the chamber. Hell fire breaks loose at this spot on those very rare occasions when the case head blows out from defective brass, or from a thin sidewall, or through a flaw in the brass of that portion of the case. This is the one weak spot of a rimless cartridge. Also note the long headspacing dimension, from base of the case to a spot on the shoulder taper, generally meeting at the widest point of the taper. As stated above, this long dimension makes the manufacture of rimless cases very difficult for the ammunition maker and constant surveillance is required to keep this length within the required tolerances. Chamber after its first reaming for a .30-06 Springfield rimless cartridge. Headspace with a rimless cartridge is adjusted and measured very differently from that of a rimmed cartridge. See C in Diagram 3. Designs of Cartridge Cases, and also the above Diagram 6. Here the shoulder of the case holds the case back firmly against the face of the bolt, and the headspace is the distance from the sloping shoulder in rear of the neck of the chamber to the face of the breech bolt. Due to the slope of the shoulder this distance cannot be measured with any usual measuring instrument, and so it is measured only with a headspace gauge such as is shown in Edition 18. Savage 110 barrelled actions after chambering. Major barrel manufactures generally use four headspace gages (only two types are shown in Edition 18 No Go and Go). The barrel is drilled, reamed, and rifled, and then a rough chamber is reamed out as shown in A. Diagram 4. 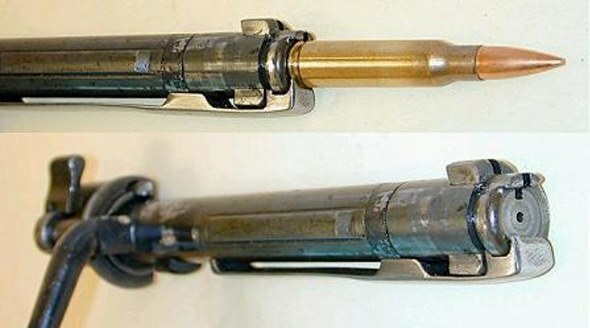 The barrel is then threaded at the breech, and screwed tightly into its receiver, then the finishing chambering reamer is run into the rough chamber, with frequent trials with the identical breech bolt that is eventually to be used in that rifle, until the bolt will just barely turn down with very slight feel but no compression on the on the minimum gauge. 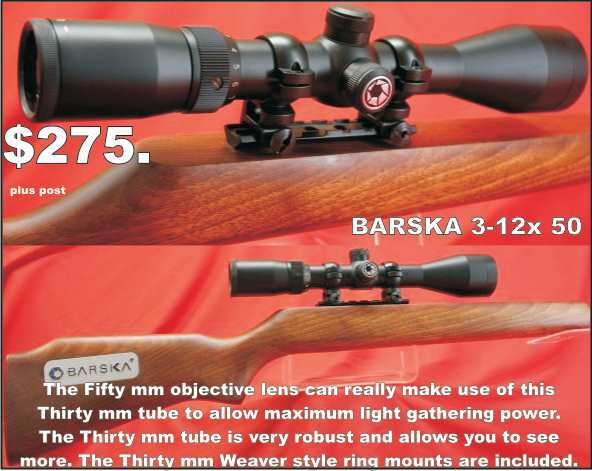 After the rifle has been proof fired the bolt should close down easily on the next size large gauge, which is .003 inch longer than the first gauge, showing that there has been no excessive enlargement or lengthening of the chamber by the high pressure proof cartridge. No repaired rifle is ever sent out from the factory which will accept the a gauge .006 larger than the minimum. Military rifles in use should be inspected annually by an ordnance armourers, and at this time every chamber should be gauged. If the chamber of a rifle will accept a gauge over the No Go or .008 from minimum gauge, it should be condemned from service, and returned for factory repairs. Therefore excess headspace accepting the No Go gauge, indicates that the chamber is longer an has excessive and dangerous headspace. In this instance with a rimless case it shows there is danger that primers may leak gas which will blow out, (cold go into the shooters face) or that the case may rupture and wreck the breech mechanism. Accuracy will be mediocre. Recoil will be more pronounced and it it really bad some round of good ammunition will not go off they will be just pushed forward in the chamber and left with a dinted primer. 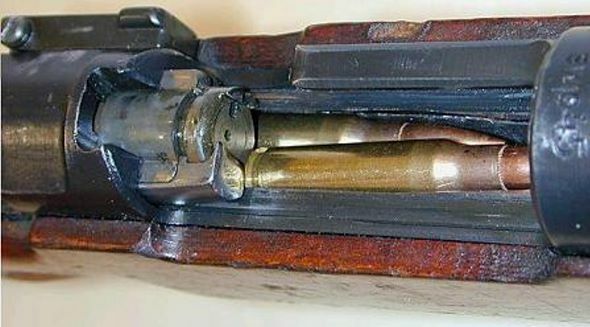 Never change bolts or breech blocks on a rifles without checking headspace. Next Edition, More Understanding of Headspace. More information on, the design and adjustment of Powder Measures. With the notable exception of the Lyman among rotary-drum measures, the metering chamber consists of a round hole drilled radially into the drum proper. Sometimes a relatively large diameter hole is used for large charges of coarse powders, while at the other end of the scale a small-diameter hole is used for the finer pistol and shotgun powders. The receiving portion of the hole is smooth-walled and sharp-edged. The balance of the hole, or, in some instances, a smaller-diameter extension of it, is threaded to accept a threaded stem on a movable plug. The plug is a close sliding fit in the smooth portion of the hole, and turning the threaded stem in this hole moves the plug and thus varies the volume of the metering chamber. A locking nut of some sort is supplied to fix the adjusting stem in position once the desired setting has been achieved. RCBS showing the lock nut for adjusting the setting. A more sophisticated variation on this theme is the addition of a micrometer type thumb nut and graduated scale so that numbered settings may be established and recorded for future use. In some measures, the metering chamber and adjustment stem passes through the drum at right angles to its longitudinal axis. In others, it may be angled to one side or the other, simply to provide clearance for the housing. One significant variation from this basic design is found in the Bonanza Bench-Rest powder measure which has its metering chamber drilled completely through the drum at a sharp angle. Pacific (now Hornady) Powder measure showing the micrometer adjustments on the settings. 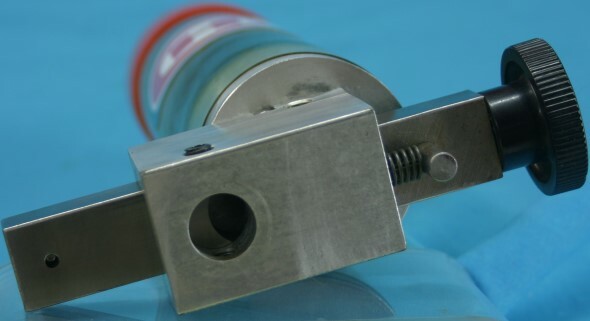 A sliding plug varies metering chamber volume, but the plug position is controlled by a knob sliding in the hollow drum handle and fitted with a vernier-type numbered scale. An exception to this round hole/sliding plug design is the old Lyman measure which is old fashioned but still used. It too, uses a rotating drum but the drum has a V-shaped recess (just like a wedge of pie) machine to accept a series of three horizontally-sliding matching plugs. The plugs are stacked one atop the other, and are moved as a single unit for large charges, while two or one may be moved for the smallest charges. Graduated scales are provided for the purpose already mentioned above. This measure produces a wedge-shaped metering chamber, a shape sometimes claimed to be less accurate than round but when it is handled with equal skill, it seems to produce results fully up to the standards of later designs. Fixed charge measures do have their place as already mentioned. The most commonly encountered type is found in shotshell loading tools where a simple straight hole is drilled vertically through a sliding “charge bar.” The bar is moved first under the reservoir where powder flows into it by gravity, and is then moved back over the drop tube where the powder falls into the case. Tools of more recent manufacture are not totally fixed in regard to powder charge, but are supplied with replaceable fixed-charge bushings machined to throw standard charges of the more popular shotshell powders. Changes in charge weights can be made only by replacing bushings. This type works quite well when accurately fitted, and produces a degree of uniformity acceptable in shotshell loads. However, in the form it usually appears it is not up to the standard demanded of the rifle or pistol handloader. 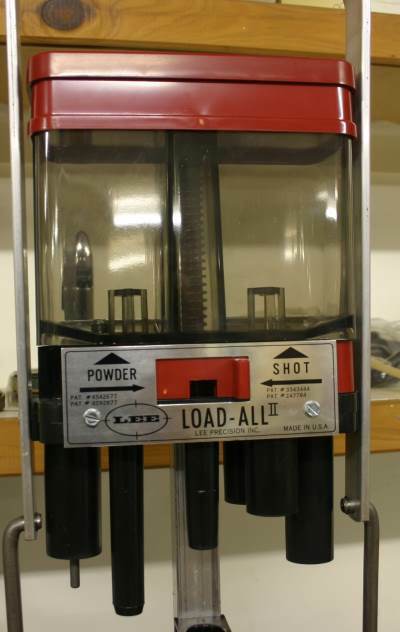 Lee Loadall Shotgun Press, the powder bush and the shot bush sit in the central bar and drop the powder into the the cartridge when the bar is moved from side to side. 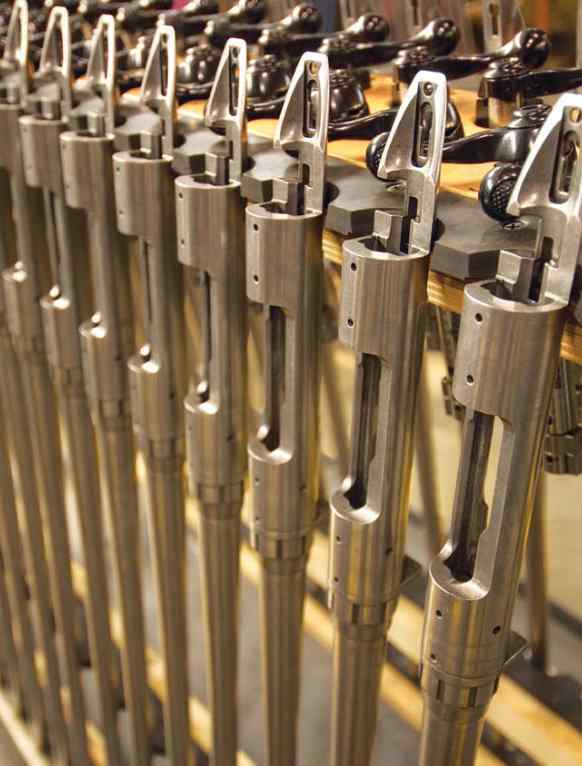 A similar fixed charge measure is found in the progressive, semi-automatic loading machines made primarily for pistol cartridges. Here, the desired degree of uniformity and accuracy is obtained by very close hand fitting of the parts. The other fixedcharge measure is the type that used to be sold by the old Pacific Company now Hornady for pistol use. They are rotating drum measures quite similar to their adjustable cousins. The Pacific is offered with the drum drilled with a metering chamber to contain any one of certain established charges of the popular powders. Charge changes may be made only by replacing drums, or sleeving drums or by drilling or reaming the existing hole larger. Hornady has a quick Lock N Load device to switch inserts quickly. The Lachmiller functions in exactly the same fashion except that the metering chamber is drilled over-deep and different length plugs may be used to vary the metering chamber volume for certain specific charges. Thus, if one orders a measure set up to throw 2.7 grains of Bullseye, the plug supplied may be knocked out and replaced with another which cause it to throw six grains of Unique, etc. The only disadvantage here is that extreme care must be taken to insure that the plug is fully and properly seated or the full charge weight identified with that particular plug will not be thrown. CH powder measure showing the slide bar. It might appear that charge cups of the type furnished with the Lee Loader and other similar tools are not really measures. Yet, they are by function. Those simple little plastic cups function in exactly the same manner as the most sophisticated powder measure in that powder flows into the metering chamber (cup) and the excess is then struck off, and the amount remaining in the cup is the proper charge. A skillful operator who pays attention to detail and uniformity can throw charges with Lee dippers (or any similar type) which differ very little in uniformity from those thrown from $100 to $200 measures. It does take a good bit of practice and it is easy to stuff up, but it can be done. Lee Powder Dipper or Scoop. Those who doubt the accuracy of charge cups should consider that much factory loaded ammunition is “plate-loaded.” In that process, a steel plate drilled with individual cavities for fifty or more powder charges is set upon a smooth steel plate, then the powder is thrown across the top with a scoop, filling every cavity. The operator then wipes off the excess powder with, a device somewhat like a squeezee, the entire unit is set over a plate full of cases, the bottom plate withdrawn, and the powder flows into the cases. That “charge plate” is nothing more than a series of charge cups fastened together. If it works well enough for the best of factory ammunition, there is no reason it can’t work equally well for you if you learn how to handle it. I have also seen great results from benchrest shooter who have experimented with different powders until they have found a powder, that suits there case perfectly. They use the one brass cartridge case for shooting a group of ten bullets into a very small group at a 100yards. They fire the cartridge, extract the case from the rifle, on the benchrest they inspect the case. They then would re-size the case, sometimes full re size sometimes neck resize depending on the rifle. They then clean the case, they punch out the used primer, they reseat another primer, they funnel there chosen smokeless powder into the cartridge case. They have a brass or wooden tray, (non sparking) they place the cartridge on the tray and wipe the over fill off, flush with the top of the cartridge case, with the straight edge of a fine piece of cardboard. They eventually return the excess from the tray back into the tin of powder. They then seat the bullet on the powder slightly compressing the load. For this operation the Lee Benchrest seating die was very handy as you can push it down to the correctly seating depth with the heal of your hand. They then would fire another bullet into the same hole in the target and repeat the process. That shows to me, that scoops or volume measures are very reliable, as long as the operator gets the process right and has used his scales to check his situation in the first instance or things can go very wrong. When setting up an adjustable powder measure, regardless of type, for a specific charge of a particular powder, too many handloaders make the mistake of juggling the adjustment stem until they get one or two charges which weigh out right on the nose. They then lock the adjustment and proceed happily on their way. This isn’t enough to insure precise and uniform charges. It is not good policy to attempt to base charge adjustment on single charges. Over the years, I have developed a procedure which is nearly as fast and yet gives me a far better picture of exactly what is happening. A rough adjustment is first made, based on memory, or old texta marks or notes and the stamped marks on the graduated scale of the measure. Several charges (at least five) are thrown and returned to the reservoir to settle the powder. A single charge is then thrown and quickly weighed on the scale, merely to determine whether the rough adjustment is anywhere in the ballpark. If the charge weight is way off, I make a compensating adjustment and throw and weigh a second charge. This second charge is usually pretty close, at least close enough that I can crank in another minor adjustment after which I throw five consecutive charges directly into the scale pan, paying particular attention to uniformity of operation. Those five charges are then weighed together and the average charge weight is quickly calculated by dividing by five. 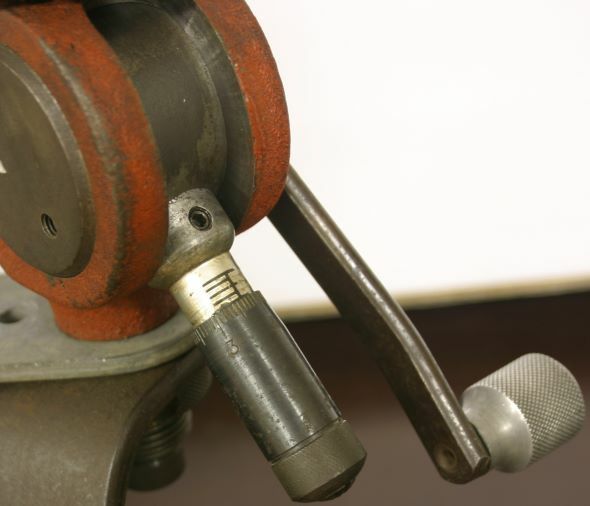 It might still be probably at least one-half grain off, so a final adjustment is made and I can usually recall about how many turns or fractions of a turn of the adjustment stem that particular measure requires to produce that much change with that particular powder. A second series of five charges is thrown, weighed and averaged and the average weight is usually right on the nose. If not, almost invariably one more very slight correction will make it so. Then, as a final check, a ten-charge series is thrown and weighed as a unit, and the average is computed. This is what I go with. It is a far more valid and representative of the average charge that will be entering the cartridge cases than any single or two or three charges I might throw and check. If the charge is for a load intended to produce extreme accuracy, or very high pressures, I will weigh those last ten consecutive charges individually and determine the extreme spread between the lightest and the heaviest. However, if the measure being used is one, with which I am accustomed to working, I will already know approximately what extreme spread is expected from it with a particular powder, and that additional weighing will not be necessary. If one simply begins adjusting the measure and weighing single charges and then quits trying when one charge comes in very close to the desired weight, accuracy cannot be assured. That one charge may have been at either end of the extreme spread for that particular measure/powder/operator combination. This can easily result in the average charge weight for that particular batch of ammunition being above or below the desired weight by the amount of the extreme spread. With some powders and measures and less than professional operators, this could amount to a difference of three or four grains of powder. Add that combination to a load already near the excess pressure threshold, and one might well be waiting for that final ringing of the ears when the gun blows up and your listing to the angel singing. Powder measures and scales are actually relatively simple mechanical devices. Mechanically, they should hold no secrets from anyone. We all work daily with other items far more sophisticated. However, do not to take their functioning and accuracy for granted. A few hours spent in becoming familiar with your particular tools and in learning their individual idiosyncrasies and the effect of your own method of operation will pay big dividends in the final race to produce good ammunition. 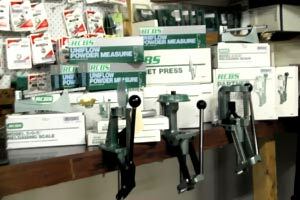 More on Understanding Reloading Ammunition in Next Edition. Email : OwenGuns@spiderweb.com.au and the External Ballistics Calculator program will be sent to you in MS EXCEL Format free of charge. Get rid of long arm registration, it just expensive time consuming bureaucracy. As usual after the last article we have had suggestions for Concorde and Lexington Green scenarios, which were examples of US Militia standing up to the British Army, refusing to be disarmed. (the opening round of the American War Of Independence) Having been on peaceful Australian protest rallies against Gun Laws, then looking around finding that the thousands of phone callers egging you on had been scared off, intimidated, so again it was just the same happy few , the band of brothers, you could count on one hand, you have to reconsider those options. Maybe its true, maybe the best or our bloodstock went off to World War One and World War Two and never returned. It leaves us only with means of passively changing statute law. 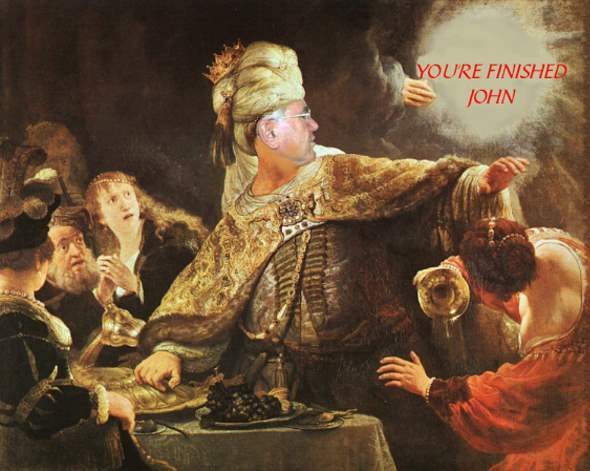 John Howard at one of those endless boring Canberra parties, sees the wrting on the wall. Some of the other senators are horrified. Many ideas do not work, as the timing is not quite right for that particular action, at that particular time . Read ‘Sun ztu’ the Chinese philosopher of war. He has all the political principles, such as, “Know your enemy, as well as you know yourself, and you will be successful in 10,000 battles”. At a different time one action may be more effective than another. (At this time in Queensland history the opposition LiB/Nat coalition are looking for friends and nationally the Liberals are out in the cold and looking for a way back in). that is costing those politicians money. To get the gun laws rolled back we have to first make comfortable with facts and logic to as many people that will read or listen. They remember the logical ‘one liners’ longer than statistics. Like, “If Guns are outlaws only outlaws will have guns”. Or any other examples you can think of. We all have to take a stance, like , “When has a gun law solved a crime or prevented an injury? Combined with “ If it was not for Guns, (and men to use them),Australia would be speaking Japanese today.” We have to beat a drum to the same rhythm, on the same subject so that the public and politicians can associate the same goal. Get rid of long arm registration, it just expensive time consuming bureaucracy. 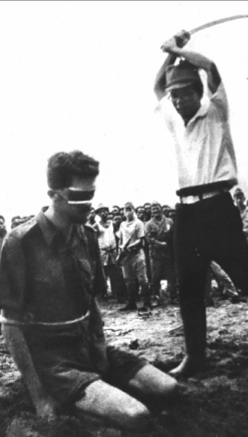 Victorious Japanese soldier demonstrating the technique of dealing with Australians. 2) “We have a safer society with more guns rather than with less guns”. Quote information comparing American states with ‘licence to carry concealed hand guns’, in comparison with states that have hand gun bans. 3) From the quotes from Minister of Police Russell Cooper (from last edition) at maximum only 25 % of shooters bother registering and even getting a licence. 75 % have never bothered and never will. Why subject the good guys to all the harassment, surely you want them on the your side you do not want to make them outlaws. Or maybe there Anti Gun agenda is to turn everyone into law breakers. 4) So why go to the expense of having a 150 plus support staff in Weapons Licencing Branch Brisbane, when before the registration of ‘Long Arms’ they only had five staff? 5) As when 75 % don’t bother there is no point of taking them to Court wasting more Police and Court time and money as if they all decided to register and licence themselves due to Government encouragement then 150 staff would be at least 600 staff the computer systems would break down and the whole system unworkable? Would it not be a safer Queensland if we had 600 staff a billion of dollar to track known Criminals, 24 hours a day rather than to waste time and money on tracking tools of trade, property that good people keep locked up when they are not using them. Its as silly as tracking fishing rods or registering petrol cans. Queenslands largest massacre was committed with a petrol can and a box of matches. 11 people died in the ‘Whiskey A Go Go’ fire. Or was it a person that done it, maybe they should have been tracking him. 6) Why make a million men in Queensland spit whenever politicians and gun laws are mentioned, thanks to gun laws if they cannot vote for an independent they won’t vote at all. The Political parties have now got to be asked if that’s the way they want it to stay. If a politician wants to win government, (not just inherit a disaster from tweedle dee from and replace it with there tweedle dum) he needs volunteer workers, he needs supporters, he needs you the activist, and all your mates. That’s what you have to offer time and money, he gets your money when he gets government. Betrayal, all to often political parties like Russell Cooper and John Howard promise the world to shooters and then betray them as soon as they can. Then others, many with great intentions form new political parties, use up all the Shooters volunteer time and money and then at election time say “Oh we don’t want to look radical, we want to appear mainstream but secretly we will support you later” Well where’s the honesty in that? I have been listening to all this for over twenty years. So the lesson is,support no political groups, make a statement of your beliefs similar to one to six, to all parties and to all people. They have to woo us by actually changing the legislation, no promises. You have many options of what you can do with this statement, I would suggest to do all of them but as above you may chose which one is appropriate for the timing. Stage One. Remember your local member of parliament both state and federal is your representative. His duty is to represent your views to parliament so that they can make law and consider all opinions. It does not make any difference what party he is in. His duty and his oath is to represent you. Remind him of that regularly and phone him again and ask him when he represented your opinion in the house last. 2. Fax it to him, it he does not answer in a few days fax it three times a day, if he won’t speak to you or answer his fax, fax his phone number by mistake, if he has an after hours number or free call leave your fax on the free call number. Bet you get an answer back. Better still get a lot of your friends to fax his free phone number. 3. If his political opponents are anywhere listed in your community do the same with them. what ever party if there in politics they have to know what we think to form policy. The other opposition candidate could get one of his elected party members to read your opinion to the house. If not he is not keen to represent you is he. 4. Write to your local member of parliament with your statement, ask his when is he going to read it out in parliament or put it as a question on notice? If he does not respond send it again, this time if you forget the stamp and it has not got a return address on the outside of the envelope then the politicians expense account, pays but if enough people do the same he will start answering his mail and taking notice of what is written on the sheet of paper inside the envelope. You will have at last got his attention. 5. Have a social night with as many people from your shooting club get them all writing letters. Just give them all a few different form letter on the same line to copy. Tell them not to expect an intelligent answer so they are not disenchanted when they get the “ Thank you for your comment” letter. Tell them that the sport is in getting as many different or the same with different names on it to each politician. Most of the answers you get will be, “Thank you for your comments I have referred them to the Minister of Police”. Warn them that they won’t get an intelligent answer, its just a means to an end. As you should get a reply that costs the politician $25.00 or more in labour, then he sends a copy of yours to the Minister then the Minister writes back to the politician saying he is writing back to you. Within no time at all, that will cost them $100 each out of there expense account budgets. We need more people writing, doing the same thing beating the same drum. Politicians’s naturally would rather spend that expense account money winning votes. It is a shadow in there heart when they know they are spending money answering a voter that they can never win. Unless they change the legislation. 6. When we write a letter to the editor, we email it, or fax the one letter to every editor in every newspaper in Queensland. Same message, once your happy with it, no point in changing it, your only beating the drum and to get the rhythm you have to keep it the same, no point in wasting anymore of your time. Your not in the letter writing business your in the delivery business. Even if not one of your local papers print it, one of the local daily papers in Queensland might need a bit of fill. 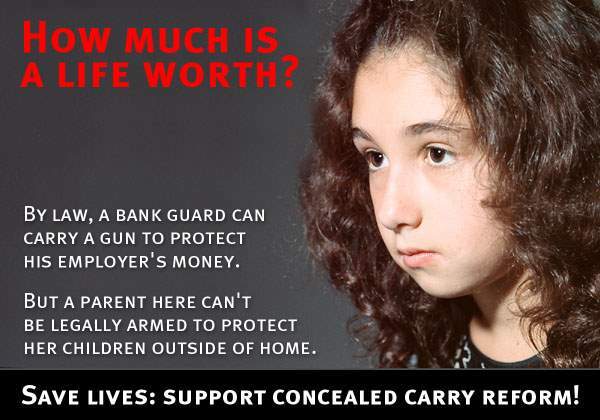 If they print it then it might get a response from an anti gunner who disagrees with your statement. That is worth a pot of gold, then respond immediately, hopefully he responds, you demand the right of reply, hopefully it goes on for months. If you cannot find an anti gunner to write against you, get a friend to do it. Every time something is in the paper about getting rid of gun laws, it will end up on the politicians desk or political parties desk, from their paid clipping service. This all cost them big bucks. Hopefully it encourages other shooter to join in and write to there local politicians and papers, when enough shooters do this, then the politicians want to end the political pain and the damage to their expense accounts. Only then will introduce a Bill to rescind the registration of long arms, only then, when we win that small victory, can move to the next point. Its just like Jungle Drums they have to know we are out there, for every one banging they imagine a hundred more sitting listening in silence. The drum has to be simple, repetitious and slightly different so that they do not think there is only one drum out there. Stage Three, If they promise to support us, do not trust them keep on going until they change the statute law the legislation before celebrating.